Barry Jon Supranowicz, M.S. is a Psychologist with Bachelor and Masters Degrees in Psychology from the Universities of Central Florida and Nova University. 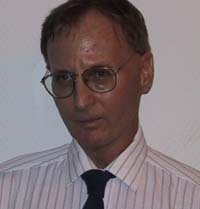 Following years of clinical practice with, and analysis of, many differing clinical populations the author conceived S-Theory-a theory inspired by detailed psychological investigations on over 1,000 men, women, and children-a theory taking over a decade of research analysis by the author to compose. S-Theory is the first new theory of personality of the 21st century, coming into existence almost 50 years since the last major theory of such was introduced. S-Theory is the first major theory to come into existence that also defines and explains emotional intelligence. For us as a human species to productively change from our frequent cyclic tendencies toward violence, greed, and oft-accompanying ruin (expressed through the recurrent rise and fall of civilizations), we must develop motivation to change-motivation induced through knowledge. 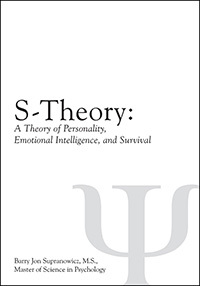 S-Theory allows such motivation to usher forth in readers by explaining, and allowing a revolutionary new understanding of, what we call personality and emotional intelligence-the essence of what makes us (and other life forms) up. It explains how such developed and evolved (with particular emphasis to human functioning). Understanding S-Theory will allow the reader to evaluate the level of personality and emotional intelligence they (or others) possess-in functional easy-to-measure behavioral terms. Such theory will also allow the reader a clear perception of what adaptive and maladaptive behavior is, how these develop, and how to change them (if desired). It is hoped by the author that the knowledge brought forth from within this manuscript will arouse in the reader an epiphany of awareness-and lead to arousal of motivation sufficient enough to create productive individual change, leading to ultimate enhancement of future human (and non-human) survival on earth. 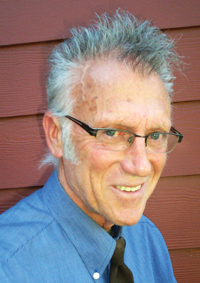 Fox Grimaldi, Ph.D., D.D., Reiki Master, has many years of experience as: Piano Entertainer, Singer, Composer, Director, Producer of Original Stage Plays, and Community Television. American born, Dr. Fox, studied all martial art forms, all religions, the sciences, and teaches, privately: Piano, Voice, Acting, and his own, Dao Ren-Kung Self-Defense. 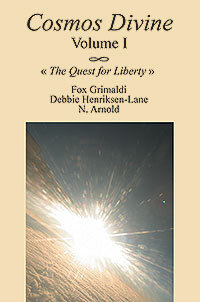 With this book, the authors take you on an expedition into a world of deep emotions, lucid dreams, and creativity that is designed to disclose humanity’s place in the Divine Playground of our Universal-Cosmos.